Three-time NASCAR Cup Series championship driver and two-time championship car owner Tony Stewart was among the 2019 inductees into the Motorsports Hall of Fame of America in Daytona Beach, Fla., on Tuesday. “Dario (Franchitti, fellow 2019 inductee) and I were talking and I joked, ‘I don’t even know what category I’m getting inducted in with short track racing, IndyCar and NASCAR.’ It’s been fun and I’m excited about the group here,” Stewart said. Stewart successfully raced in the IndyCar Series between 1996 and 1998 before going full-time in NASCAR’s top series in 1999. He won three IndyCar races during that time and was champion in 1997. Stewart also is a USAC Triple Crown champion and member of the USAC Hall of Fame, National Midget Auto Racing Hall of Fame and Indianapolis Motor Speedway Hall of Fame. Other 2019 inductees included IndyCar’s Dario Franchitti, motorcycle racing’s Kevin Schwantz, racing pioneer Augie Duesenberg, sports car racing innovator Phil Remington, drag racer Don Schumacher, and legendary trophy queen Linda Vaughn. Stewart retired from full-time competition as a NASCAR Cup Series driver after the 2016 race season. He continues to race dirt sprint cars and remains co-owner of Stewart-Haas Racing, which fields entries in NASCAR’s Cup and Xfinity series. 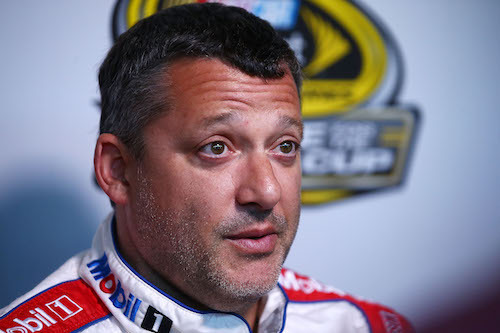 Before his retirement as a NASCAR driver, Stewart won 49 races in 618 starts. He was the premier series’ championship driver in 2002, 2005 and 2011.